The FortiAP U24JEV is an enterprise low cost next generation compact design 2x2 MU-MIMO 802.11ac Wave 1 Dual Band (2.4 GHz/5.0 GHz) wall plug/wall plate access point with an optionally available stand for desk mounting. Fortinet’s FortiAP-U Series offers a wide range of Access Points capable of being managed by any of Fortinet’s controller and management options: Cloud, FortiOS, or WLAN Controller. Access Points are available across the performance spectrum up to the fastest 802.11ac Wave 2 4x4:4 devices. Ability to intelligently support stand-alone controllers (FortiWLC), integrated security controllers (FortiGate) and cloud management options, establish a new benchmark in flexibility, performance and security. 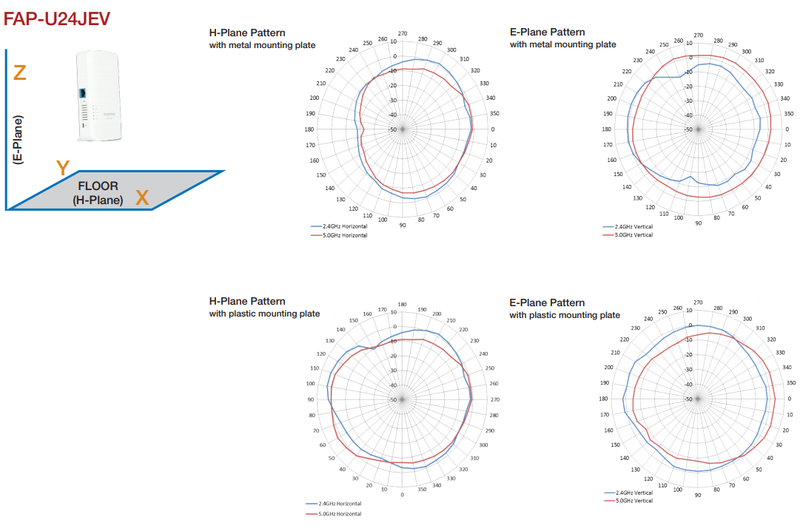 802.11ac Wave 2 technology with data rates of up to 3.5 Gbps and multi-user MIMO (MU-MIMO) improves client throughput and range. Integrates with Fortinet’s Security Fabric providing unparalleled cybersecurity protection at the network edge. Fortinet Universal access points are designed to support a variety of deployments from small sites, to medium to large offices, schools, universities, hospitals, hotels, and large retail stores. 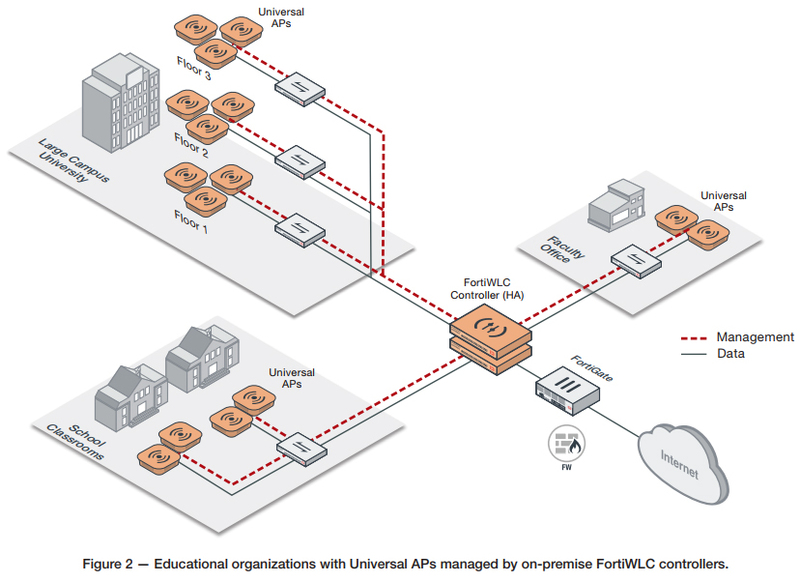 The Universal access points can serve such a wide range of applications because they can be managed by any of Fortinet’s control and management offerings: FortiGate, FortiWLC, and FortiCloud. The Education sector is at rising risk from cyber attacks. This in conjunction with requirements to protect minors from inappropriate materials can make deploying wireless a challenge. Our integrated secure wireless controller (FortiGate) ensures secure student access to learning resources while FortiGuard services provides cybersecurity protection. Patient safety is priority one. 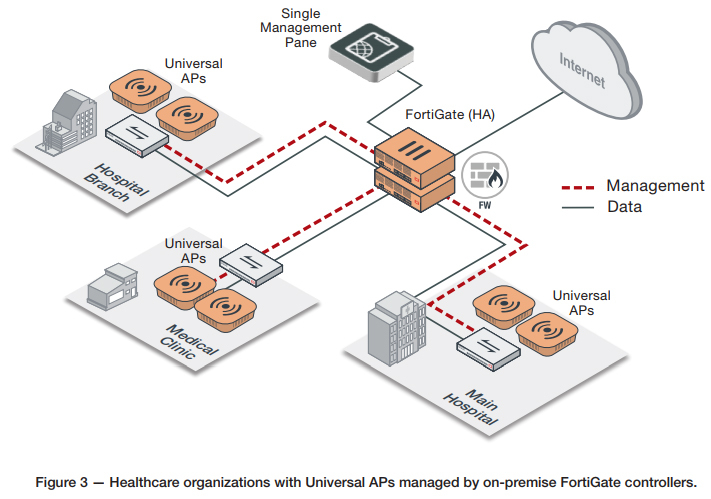 Fortinet Universal APs empower hospitals to improve patient safety by enabling life-critical applications such as telemetry requiring low bandwidth but exceptionally high reliability. Our dedicated wireless controllers (FortiWLC) connected to our Universal access points ensures patient safety remains paramount, while providing improved performance for wireless enabled medical devices. 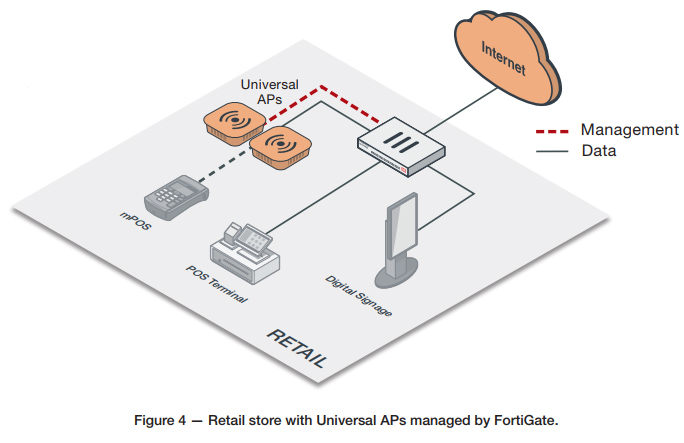 Retailers can streamline WiFi store deployments through the combination of Universal APs and FortiCloud management. This, in combination with FortiDeploy for zero-touch provisioning and deployment offers a cost effective solution for retail IT. 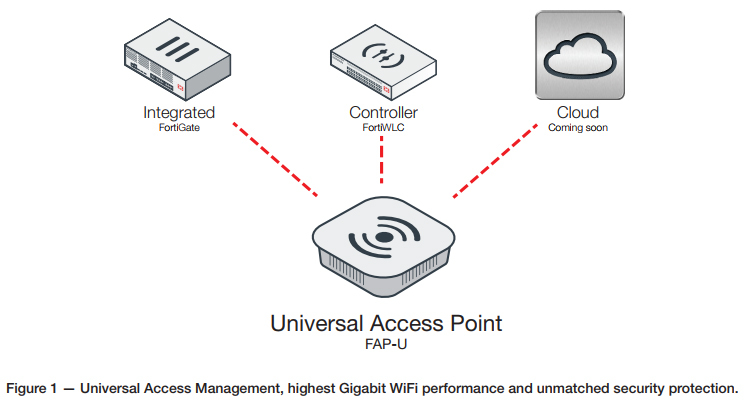 Download the Fortinet FortiAP Universal Access Points Datasheet (PDF).